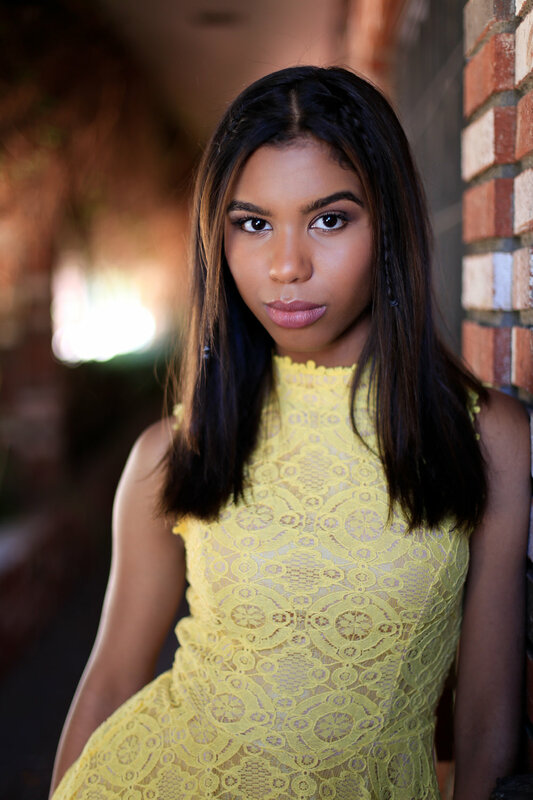 Aliyah Moulden, lands a leading role in Netflix original film ‘Anastasia: Once Upon A Time’, wants to be an EGOT! Super-vocalist powerhouse Aliyah Moulden has one big goal in mind and that is to become an EGOT. EGOT is an acronym for those rare talents that have earned an Emmy, Grammy, Oscar, and a Tony award. It’s a small group of artists who hold this distinction, including icons James Earl Jones, Whoopi Goldberg and Rita Moreno. Afro-Latina (African American and Mexican) Aliyah who turned 16 on August 14th is walking toward the path to reach her EGOT goal. Training since the age of four, she considers “passion and discipline” as two of the vital qualities to reach her artistic goals. It’s that drive that helped Aliyah stand out while as a contestant on The Voice (2017), turning industry veteran’s heads with her voice and overall stage presence being compared to Aretha Franklin, Whitney Houston, and Adele. While on the top rated NBC show, The Voice, country singer Blake Shelton was her personal coach and she achieved top 3 status. The young artist spends most of her time in training and on the road, and has already opened for Beyoncé’s protégés Chole X Hale, performed at the “BET Experience LA Live” (2016), Disney’s Channel’s Shake It Up after party opener for platinum singer Jesse McCarney, and participated in a national summer tour with Michael Deleasa with continuous collaborations with Alessia Cara, Miley Cyrus, Alicia Keys, Gwen Stefani, Zedd, Adam Levine, and Jennifer Hudson. On her own, she just completed her first EP which features the song “We Own the World”, written by Multi-Platinum producer Drew Lane (Hannah Montana and High School Musical). She was also a part of the National Official Stand Up Tour 2015, conducted by Peggy Lafrate, senior director of Sales at Teen Life and president at Strega Entertainment Group. The big news for Moulden and one that move her closer to her EGOT goal is booking the leading role in the Netflix original feature film Anastasia: Once Upon A Time—retelling of the Anastasia Romanov story which marks the second production between Swen Group, the Latin American giant that recently established a U.S. distribution arm, and conglomerate—the Florida-based production company behind Walt Before Mickey and the upcoming Little Mermaid. In Anastasia: Once Upon A Time, the story begins in 1917, as the youngest daughter of Tsar Nicholas II, flees Lenin’s troops through a time portal, emerging in 1988 when she befriends a young American girl. Aliyah Moulden will write and perform original songs and Blake Harris directs, as he did on Little Mermaid. Here is what she had to say about her career. Lapacazo Sandoval: You’ve been cast in the Anatasia Romanov story Anastasia: Once Upon A Time, which is set in 1917. Can you tell us more about your role in this project? Aliyah Moulden: The name of the movie is “Anastasia: Once Upon a Time”, and it’s about a girl named Anastasia, who travels from 1917 to 1988. While she’s soaking up the eighties, she meets my character, Bliss, a pop artist of the 1980’s. LS: You born in 1988. You are not a child of the 80’s? Can you identify? AM: Absolutely. I can definitely identify with [the character] Bliss because she and I both have a love for music. For this character, I also get to work with the amazing music producer Jeremy Rubolino for the music for the film. I am really excited about the opportunity and I look forward to working with such a talented cast and crew. LS: What do you love about being a songstress? AM: I love connecting with people through music. I feel that music is such a personal thing and when you’re singing, it creates an indescribable feeling. LS: What advice would you give to young performers? How do you keep your disciplined life matched with your professional obligations? AM: The advice that I would give to young performers is to stay focused, and to be ready to work very hard to achieve their dreams. I keep my disciplined life matched with my professional obligations by keeping daily, weekly, and monthly schedules. Amir Motlagh - "There has never been a better time to start than now!" Amir Motlagh is an actor, musician, filmmaker and storyteller. With a resume of over 15 films, his inspiration and zeal to make meaningful films that tell stories about human connection, is honest. When he saw the limited work he was getting offered in the entertainment industry, he decided to take matters in his own hands and start his journey as his own storyteller. He's currently running a crowdfunding campaign on Indigogo, looking for support from all film lovers. We had an opportunity to talk to him, and here are the excerpts. · What inspired you to become a filmmaker? A combination of things. First and foremost, my mother is a cinephile, and she absolutely adores the cinema and going to the movies as far as I can remember. It’s a passion of hers. She has quite a photogenic memory of movies she’s seen, along with names of actors, directors and anything related to film. This, of course, includes a love of foreign film, in the context of American dominant cinema. Second, I trained as an actor, and at that time, I became fed up with the process of reading for certain types of roles, and also, I just was never that interested in the material that was available for me. The construction, the building of things was always more my interest, and so, I just gravitated towards things that I could structure myself. 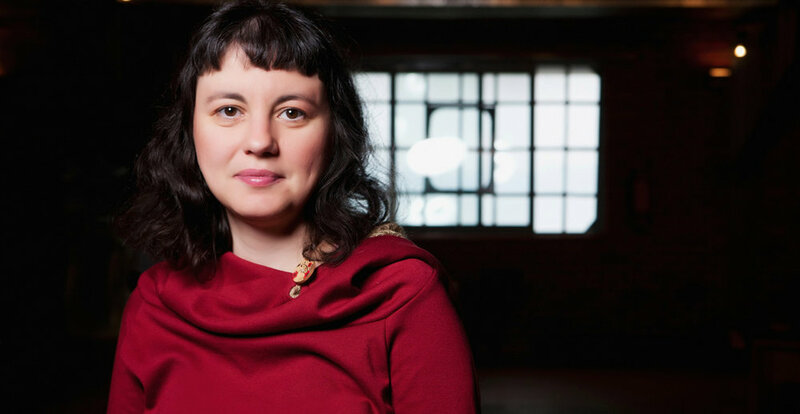 I’ve always been driven by the idea that It’s my responsibility to tell my own story, my own perspective on what the world is, and how the world works. · What's the best thing you like about being a filmmaker? My favorite thing about filmmaking is the power to craft your perspective about the world into a format that is a shared experience. Simply, it's our most advanced technology for communication in the arts at the moment. It probably won’t be in the nearing future, but for now, it's still our preeminent art. One the simple level, I love the collaborative process. There is not one single most important person in filmmaking. It’s a shared experience and this is what makes it unique. · Talk to us about your latest projects. I have two new feature films that I’m currently raising finishing funds on IndieGoGo. Principal photography and picture locked edits are in place for both films. One is called THREE WORLDS and the other is MAN. These are a bit difficult to talk about in a straight sense since the universe they exist in is very much enclosed within itself. Meaning, they are just not that easy to reference in relation to more mainstream films. These two films are part of a series of works called THREE MARKS, TOO MANY SIGNALS. This includes the two feature films, and a visual album I released in 2016 called CANYON. THREE WORLDS is at the core, a drama that delves into a character's multiple perspectives in different points of space and time. Our main character is trying to find something, that perhaps he has lost at some point. The story is elliptical and takes place through a long span of time. It’s an experience-centric film, that unfolds itself to you without relying on usual tropes. This is how all three films in the THREE MARKS, TOO MANY SIGNALS series were built. MAN is a semi-scripted, slice of life story told in a way that should feel both familiar, but very unusual. We explore a man’s relationship in the world that’s technology dominant. This is the more experimental of the three works. · Which films and filmmakers inspire you, and why? 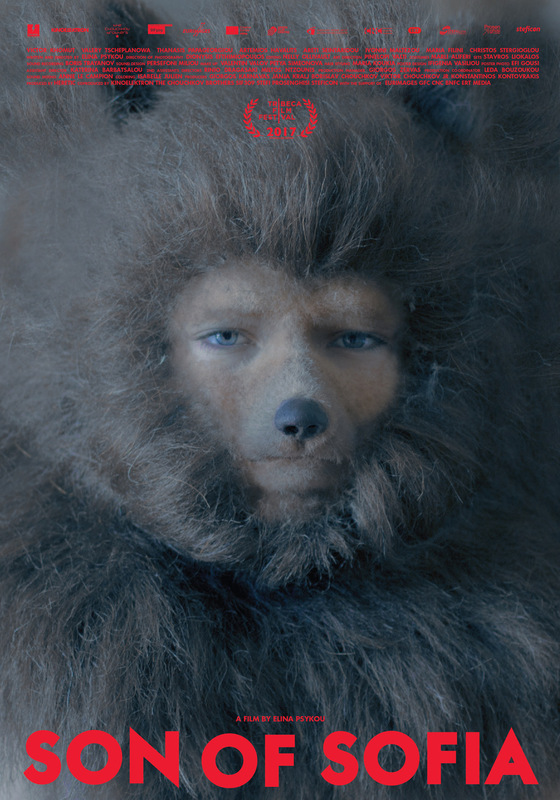 Modern filmmakers & studios whom I really enjoy include Jacques Audiard, who has done films like, THE BEAT THAT MY HEART SKIPPED, A PROPHET and RUST & BONE among others. Anything STUDIO GHIBLI puts out, and dramatist masters like Asghar Farhadi. I really enjoy Denis Villeneuve’s work on the strictly technical directing sense, and Jeff Nichols, who is as close to an American version of an Auteur as we can get in the modern era. What are your thoughts on diversity and inclusion in Hollywood? Diversity is something that will naturally happen as both a demographic shift and the fact that it’s a majorly discussed issue. If the pressure holds, change happens. It’s whether the timeframe that this shift occurs is a right one for the individual who wants to be involved in the business. An equal responsibility is shared by groups gunning for this diversity. We have the tools, so we should all get to work. · What is your message to other aspiring filmmakers & storytellers? You simply have all the tools at your disposal. You have distribution at your fingertips. You have possible money available through crowdfunding. There will never be a better time to start than now, and there has never been a better time to start than now. The landscape is changing in incredible ways. New mediums are on the horizon like VR/AR and platforms like Youtube and Snapchat are creating stars out of people who want to share with the world. Now, this might not necessarily look like the cinema of old, but the opportunity to tell stories is right at your fingertips. So, find your lane. If its Hollywood, that’s one way. But, there is many other ways to find your own lane nowadays. Test everything out and pivot. Don’t go to film school (for the most part). 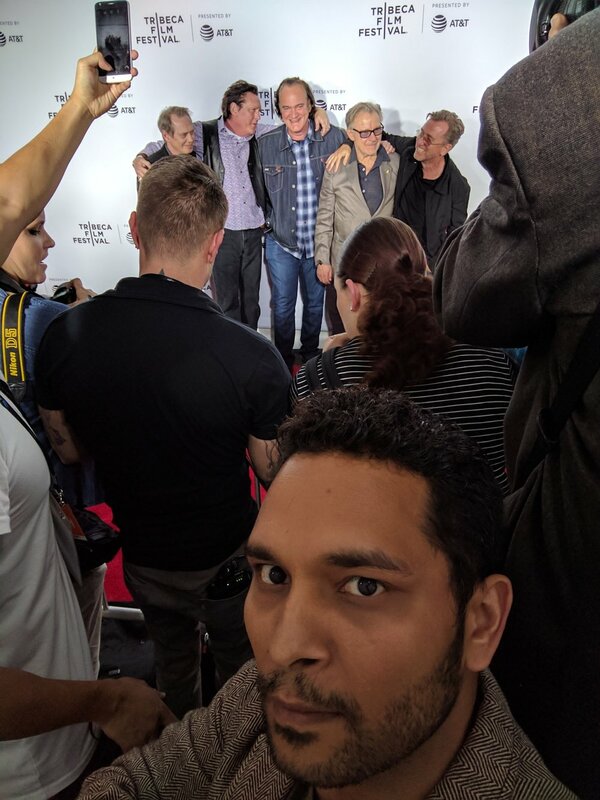 Make friends who are making movies. Build a team. Write. Shoot. Edit. Act. Have fun and keep doing. Write daily. Just do it. On the side, learn to code. You got a good escape plan. And still then, you can keep doing it. Sounds like good advice. Thanks for talking to us Amir. And all the best! 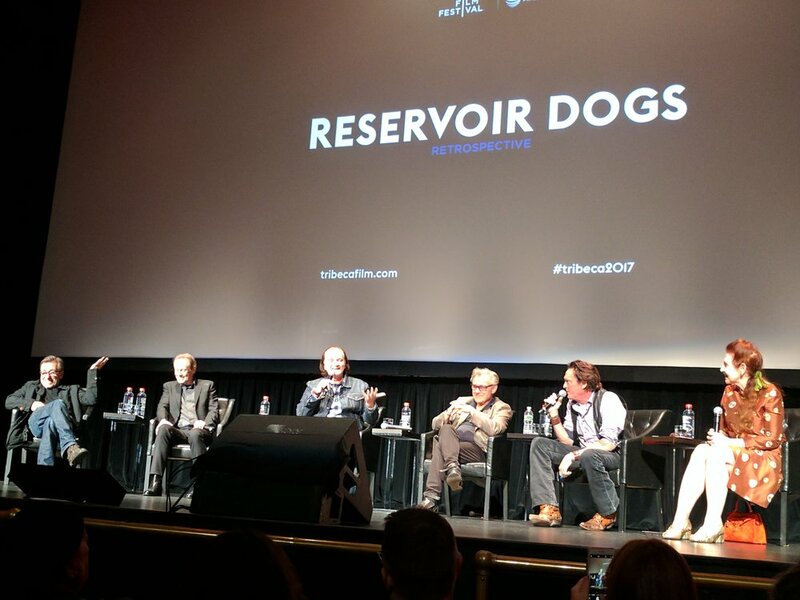 RESERVOIR DOGS Reunion at #Tribeca2017, with 25th anniversary screening and panel talk. 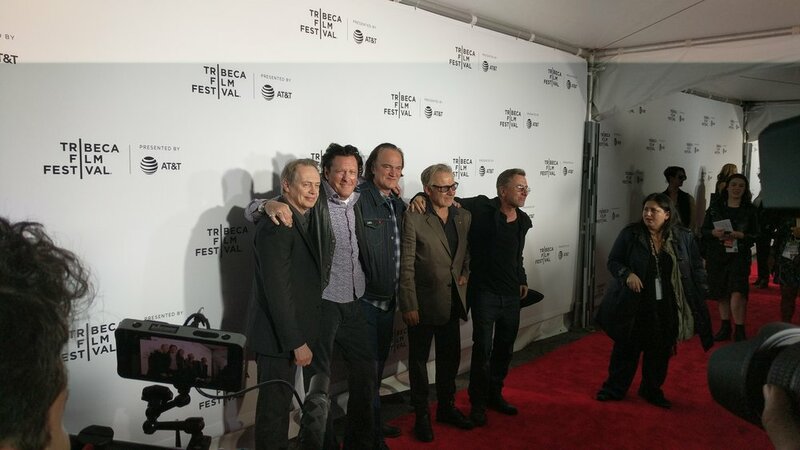 Tribeca Film Festival 2017 saw the reunion of the team of cult classic RESERVOIR DOGS. Twenty-five years ago, auteur filmmaker Quentin Tarantino reinvigorated cinema with his singular voice in his canonical feature Reservoir Dogs. He generously provided a 35mm print from his archive for this special 25th anniversary screening. The screening was followed by a panel discussion with Quentin himself, joined by Tim Roth, Steve Buscemi, Harvey Keitel and Michael Madsen. They talked about the colossal failure of first screening at Sundance; Quentin counting the walkouts from early screenings during the torture scene; casting of Michael and rest of the cast; making of the movie and a lot more. Watch the videos below to get the word directly from the horse's mouth. Reservoir Dogs, directed and written by Quentin Tarantino. (USA). They were perfect strangers, assembled to pull off the perfect crime. Then their simple robbery explodes into a bloody ambush and the ruthless killers realize one of them is a police informant. But which one? With Harvey Keitel, Tim Roth, Michael Madsen, Chris Penn, Steve Buscemi, Lawrence Tierney, Edward Bunker, Quentin Tarantino.